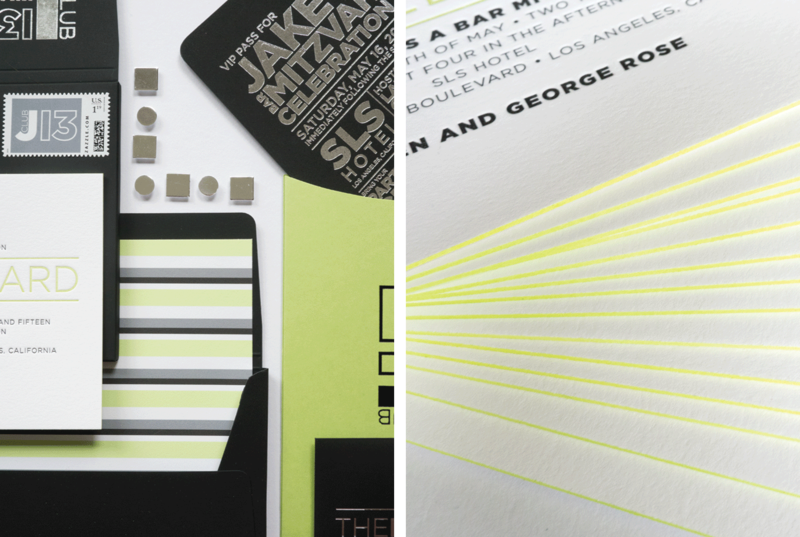 Chartreuse, black and silver was the color scheme for this modern Bar Mitzvah. 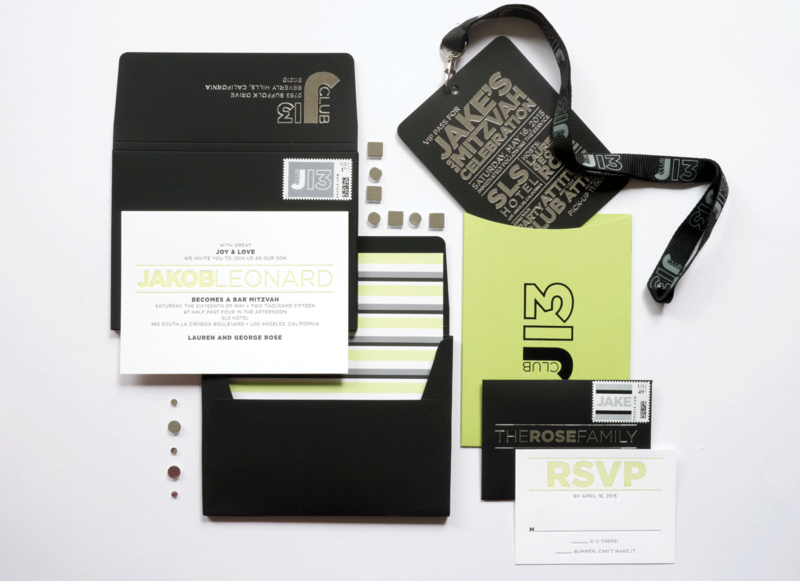 While the invitation was classic, the hip VIP party pass let the 'very important people' know how much fun lie ahead. 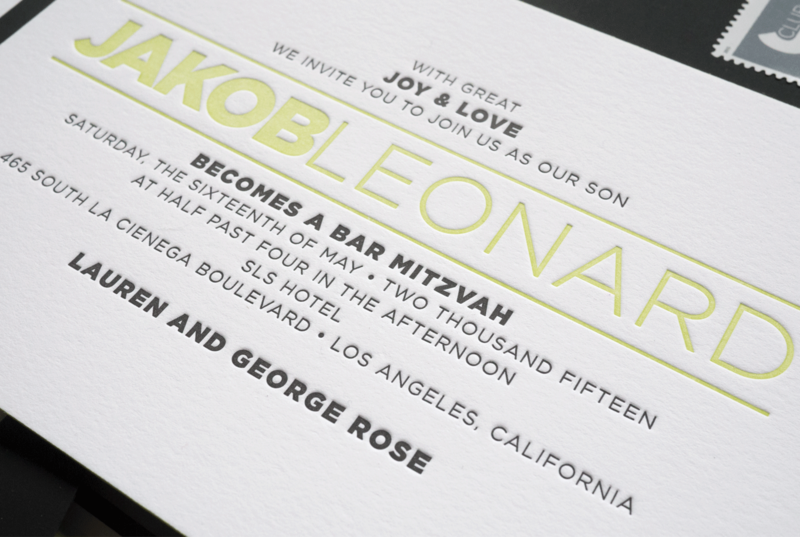 Letterpress printed and foil stamped on thick cotton card stock and museum board. 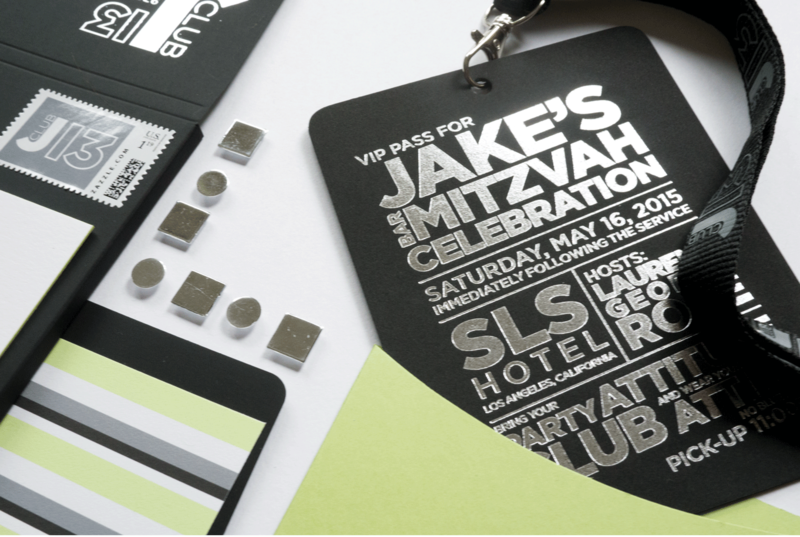 Bar Mitzvah invitation suite included an invitation, custom card stock envelope with custom printed envelope liner, rsvp set, party card with custom lanyard. All pieces were held inside a pocket with custom designed logo. 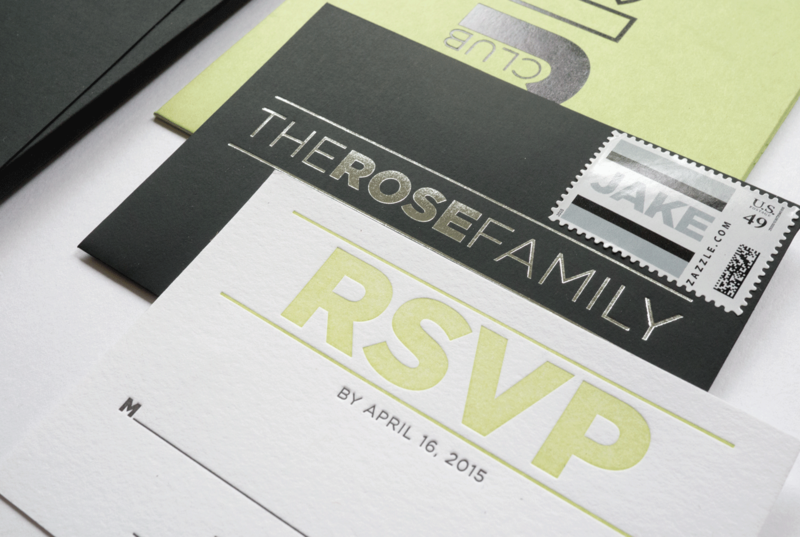 Finished with custom stamps on each of the envelopes.